Beautiful! 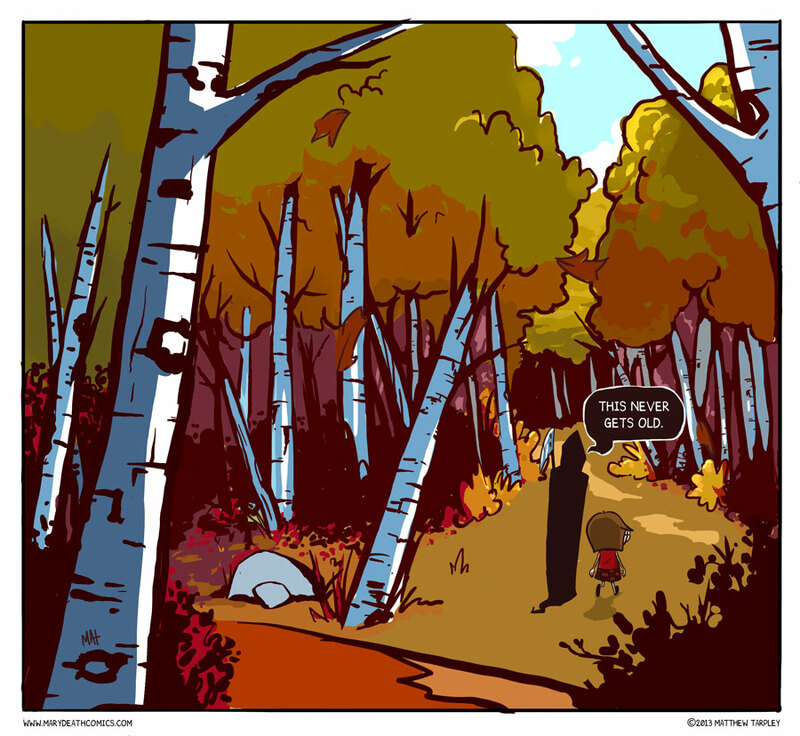 Seems sorta Calvin and Hobbes-ish. Certainly reminds me of walking through the fields and forests of the corner of Maine where I grew up. But does seem a tad early for an autumn scene…. Was aiming for a more transitional scene, but I did play up the autumn colors a bit much. Ah well! Death is a fan of the epic colours of autumn as well? Wow, this is really well drawn! What are the chances of you making a wallpaper out of it? Death and Beauty – what an amazing juxtaposition. Well done. Why do I always imagine Mary as blond?